Caption slip reads: "Photographer: Forbes. Date: 09-13. Reporter: Cowles. Assignment: Fire. 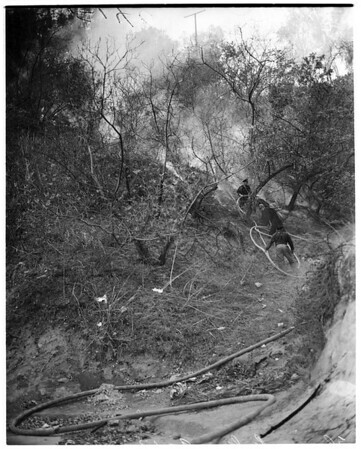 1390140: Fire, Elysian park."